Leading provider of smart, managed Wi-Fi solutions, Celeno, introduced a new Wi-Fi 6 chip at CES 2019, The CL80000 has a disruptive 8T8R (8 Transmit and 8 Receive) ElasticMIMO architecture, delivering the best Wi-Fi network performance for its size. Celeno's technology combines a flexible silicon architecture that enables Access Points to dynamically self-adapt the radio configuration between the 2.4 GHz, 5 GHz and 6 GHz bands, to ensure the best user experience. Using two concurrent dual band Wi-Fi-6 Radios in a single 11x11mm PCIe chip, supporting 8T8R (8 Transmit and 8 Receive radio chains) elastic architecture and an optimization engine, the system will address the #1 challenge for Wi-Fi - delivering high-quality experience anywhere, anytime, and on any device based on real Wi-Fi usage patterns. While Access Points are currently hard-wired at design and in production, and are typically over-engineered to compensate for rare challenging conditions, Celeno offers an innovative concept for Access Point designs and Wi-Fi network deployments: a combination of silicon and software technology, that continuously monitors Wi-Fi usage patterns in real time and self-adapts respectively the Access Point hardware MIMO dimensioning and antenna allocation in each band to maximize performance, coverage and user satisfaction. Wi-Fi conditions are unpredictable: no home or office looks alike; Access Point location is unpredictable and Wi-Fi usage patterns vary (type of client capabilities, where and how they are being used during day time and weekends, etc.). Allocating dynamically the 8T8R streams and radio channels between the longer range 2.4 GHz band and the faster 5 GHz band can help to better satisfy the Wi-Fi needs of the user. ElasticMIMO with the aid of Celeno's real time optimization engine dynamically allocates its 8T8R MIMO system to two Wi-Fi radios – in 2.4 GHz and 5 GHz bands based on usage needs, creating an elastic MIMO configuration ranging from 2x2 and up to 6x6 per each Wi-Fi radio – totaling 8 streams, 8 antennas and 6Gbps total throughput. The ElasticMIMO technology also offers APIs, so Service Providers and OEMs can adapt the system behavior to their specific business needs. 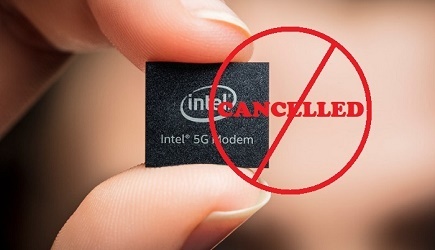 According to research analyst, IDC, with nearly 4 billion Wi-Fi devices shipping every year, service providers face a momentous challenge of providing Wi-Fi coverage in homes where network congestion and bandwidth requirements are growing with increasing mobile video, multi-room gaming, smart home, and broadcast video traffic. Service providers thus need tools and technologies to optimize Wi-Fi coverage, while balancing engineering, footprint, BOM costs, aesthetics with ever growing user demands for better Wi-Fi performance. Celeno will be offering the CL8080 8T8R chip as well as the CL8060, a 6T6R chip and the CL8040, a 4T4R chip.